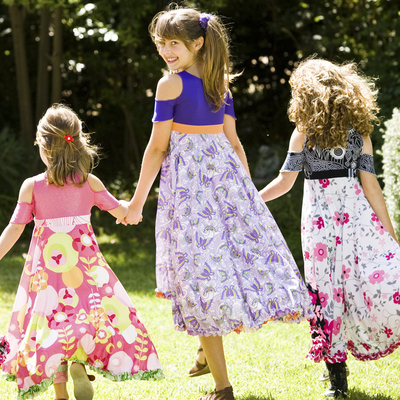 When shopping for boutique girls dresses, make sure you’re getting the quality that you’re paying for. Start by inspecting the seams. We use a special 4 thread overlock stitch in every seam. This insures that when it's stretched, there are 2 rows of stitches binding the fabrics together… not one. This stitch requires a special machine and adds to the cost of the garment, but like everything else, you get what you pay for. Please NOTE: This is only a sampling of all our Boutique styles, there are more versions available, so please have fun looking around.